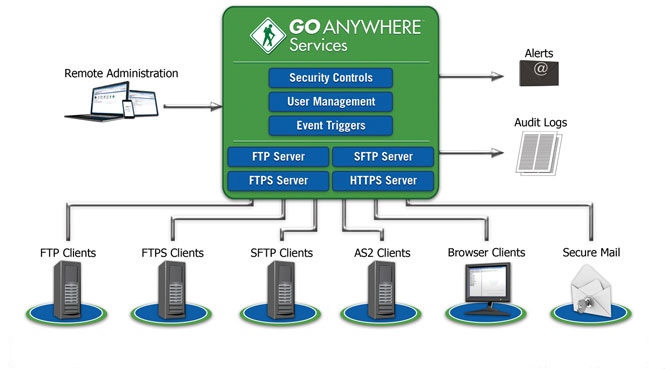 GoAnywhere™ is a managed file transfer (MFT) and secure FTP solution that will streamline and automate file transfers with your trading partners, customers, employees and internal servers. Enterprise level controls and detailed audit logs are provided in GoAnywhere for meeting strict security policies and compliance requirements including PCI DSS, FIPS 140-2, HIPAA, HITECH, SOX, GLBA and state privacy laws. 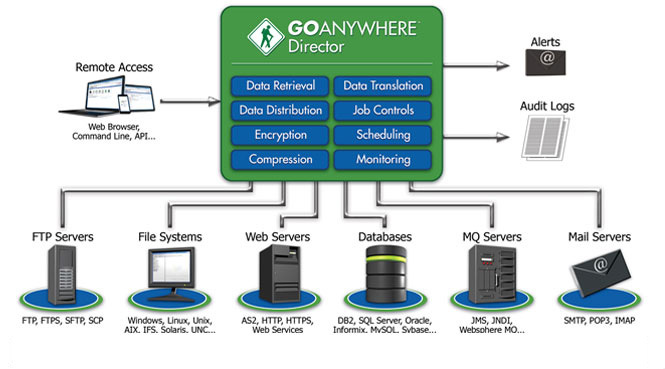 GoAnywhere™ is a managed file transfer (MFT) and secure FTP solution that will streamline and automate file transfers with your trading partners, customers, employees and internal servers.